BAGUIO CITY –	The city government on Monday recognized three offices and six employees who displayed exemplary behavior and work ethics in discharging their functions. 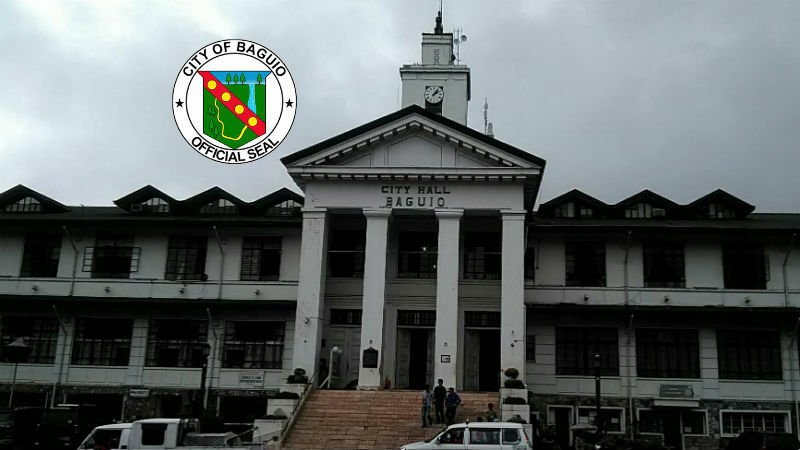 Cited and bestowed the On-The-Spot (OTS) Awards of the Program on Awards and Incentives for Service Excellence (PRAISE) Committee were the Baguio City Fire Department under Chief Insp. Nestor Gorio, the Permits and Licensing Division under Supervising Administrative Officer Allan Abayao and the Real Property Tax Division of the City Treasury Office under Local Treasury Operations Officer IV Rowena Gaviola. Administrative Aide III Sylvester Masgay of the Local Civil Registry, Administrative Aide IV Cecilia Aspiras and Local Assessment Operations Officer II Marlon Sayan of the City Assessor’s Office, LTOO I Kathleen Louis Joy Domingo, Revenue Collection Clerk II Remedios Cardeno and Local Revenue Collection Officer I Sherwin Mole also received OTS certificates from city officials led by Mayor Mauricio Domogan, Rep. Mark Go, Vice Mayor Edison Bilog and PRAISE committee member Coun. Joel Alangsab. Alangsab said the commendations were based on the feedback received from satisfied clients. The three offices were praised for their “wonderful” services by a client who resides in Manila who appreciated the fast processing of her business permit. “Nagulat ako. Ang bilis. Nandito ako 11:30 AM then natapos agad,” the client wrote in her feedback form which was verified on the same date by the PRAISE committee. Masgay and the LCR office were commended by Remedios Inay for the smooth and fast processing of her application for marriage registration. “Maganda ang pagtanggap ng clients at mabilis ang pag-transact hindi katulad ng ibang municipalities na ang daming questions and requirements,” she was quoted as saying. Aspiras and Sayan were also cited for being kind and efficient by Kathleen Dilem who related that she was entertained by the employees despite being there at 7:30 a.m.
“I was able to get my documents in less than ten minutes. Kapag sinabi nilang within the day makukuha, talagang on the day na, hindi kailangang bumalik,” Dilem said. Domingo, Cardeno and Mole were praised for their pleasant demeanor and professionalism. “These awards only prove that there are a lot of employees who are dedicated and are striving to provide good service to the public despite negative criticisms that the city has received lately for some alleged wayward behavior,” Alangsab said. “Let’s continue to do good even if at times, it’s only the negative that is being highlighted. Let this not affect the synergism that keeps us all going,” he said. The OTS is a regular awards program to acknowledge employees who demonstrated courtesy, honesty, promptness and efficiency and their daily efforts such as reporting for duty on time, using government office hours diligently and retiring from work only after office hours. The selection of awardees are based on the letters of commendation or appreciation from the clients, private companies or public institutions citing the employee that they have directly transacted business with and the latter’s demonstration of exemplary behavior.